Independence Day is on the horizon, and if you’re craving a classic movie to enjoy between the parades, fireworks, and barbecues, I’ve got you covered. I compiled a list of Great Classic Films perfect for the Fourth last year, but I’ve added a few more this summer. I haven’t included any combat films, as wonderful as those can be. Instead, I’ve chosen eight exuberantly American movies. I’m going for big, bright, and brilliant, classic Hollywood-style! I hope you find something to enjoy, and Happy Fourth of July! My first pick bends my just-stated rules, but let me explain. If you are in the mood for an America-at-war movie this 4th of July, you can’t do much better than this incredible, one-of-the-best-films-ever, WWII drama. 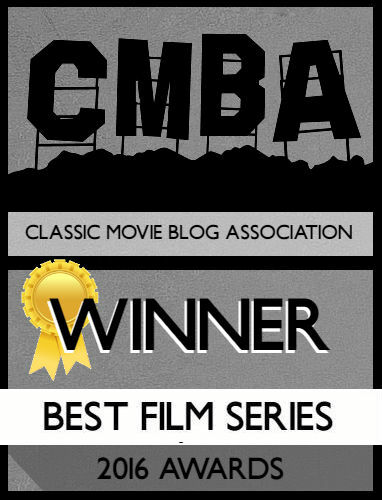 If there was an entry for “timeless classic” in a film encyclopedia, it would be Casablanca. 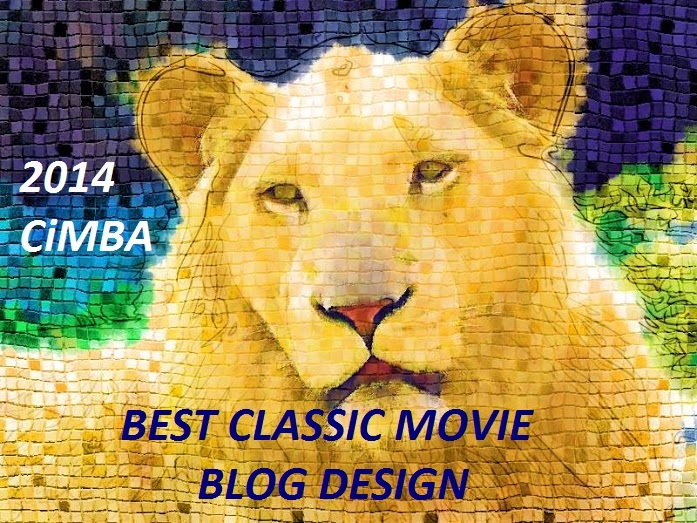 Unlike some other classics (Citizen Kane, anyone?) that can feel a little like a chore to sit through, and that you “appreciate” but don’t really enjoy, this movie remains gripping, funny, romantic, and damn watchable seven decades after it premiered. The script is taut perfection and the cast can’t be beat: Humphrey Bogart, Ingrid Bergman, Claude Rains, and Paul Henreid star, but the movie is packed with great supporting actors, some of whom were actual refugees who had fled Europe. (For a fascinating account of the making of this movie, check out Round Up the Usual Suspects: The Making of Casablanca–Bogart, Bergman, and World War II by Aljean Harmetz). Rick (Bogart) is an American living in Vichy-occupied but really Nazi-controlled Casablanca, a city full of refugees fleeing WWII. The dream is to get to America through Casablanca via neutral Portugal, but many get stuck in Casablanca indefinitely. Rick runs his nightclub and remains “neutral,” but things get complicated when an old love (Bergman) arrives and needs his help to escape the Nazis. Okay, so it’s not a big and bright Technicolor extravaganza, but when this film ends, you’ll be ready for “The Star-Spangled Banner” and fireworks! Here’s the trailer. To buy this great movie, click here! In this film, Ray (Johnson) runs Cypress Gardens in Florida (it was shot on location), and Julie (Williams) is his star attraction, a swimming, water-skiing beauty who models on the side. Conflict arises in this tropical paradise because Julie is in love with Ray, but he only sees her as a valuable commodity and profit-machine. Why is this a fun Independence Day movie? Well, Williams’ character gets to be feisty and fun as she battles for her own independence from Cypress Gardens, and there are some absolutely absurd, exuberantly American water-skiing and water ballet interludes. Helicopters, speedboats, tourists, pageants, and sunny Florida plus Williams and Johnson? Can’t get much more American than that! And it’s about as joyful and spectacular as a fireworks display! Here’s the trailer. For more, read my full-length review, and you can buy this film here. Directed by Frank Capra and starring James Stewart, Jean Arthur, Claude Rains, Astrid Allwyn and Edward Arnold, this film was nominated for eleven Academy Awards and remains timelessly excellent. Jimmy Stewart plays naive, optimistic Jefferson Smith who runs a Boy Scout-esque organization. He’s appointed to the Senate by his state’s governor, who assumes that Smith will be easy to manipulate. Smith doesn’t realize that just about everyone in Washington is crooked, criminal, jaded, or all three, and eventually his innocent idealism causes problems for some corrupt political bosses and politicians…his filibuster against these forces is cinematic magic! Mr. Smith Goes to Washington is a must-watch that unfortunately remains very relevant, but don’t worry, it’s not a downer. It’s one of my July 4th picks because even though it shows a dark side, it will still make you say “Hurray for democracy! Hurray for America!” Here’s the trailer. To buy this wonderful movie, click here! If you’d like to spend some time with singing and dancing pioneers this Fourth, you can’t do better than this movie. 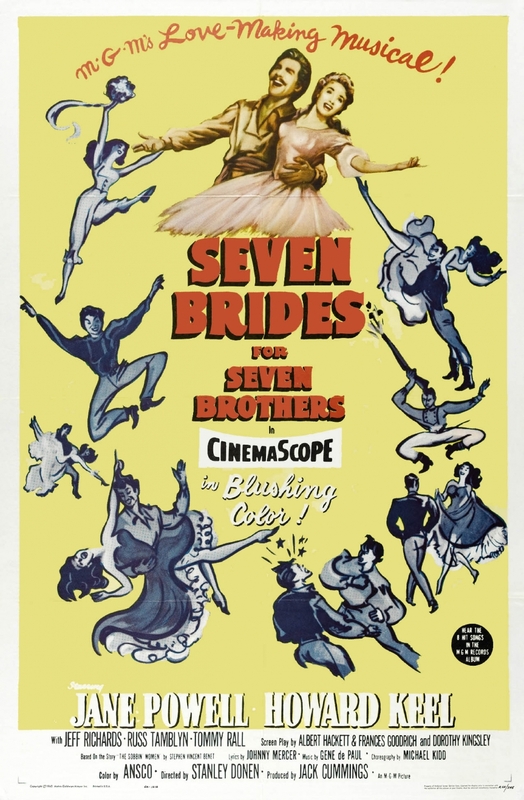 Seven Brides is the story of Milly (Jane Powell), a beautiful orphan in the Oregon Territory circa 1850 who falls in love with Adam Pontipee (Howard Keel), marries him, and goes to his cabin in the wilderness, all in one eventful day! What Adam neglected to tell Milly, though, is that his six brothers live with him, and now she is expected to cook, clean, and otherwise care for all seven slobby backwoodsmen. Milly is not thrilled, but she manages to bring some civilization to the Pontipee brothers. Adam’s brothers decide that Milly is pretty great, and maybe they should find their own wives! Then things get crazy. It’s not all brothers, either; soon six other women are living on the Pontipee homestead. Gingham has never looked so gorgeous. Fun fact: one of the “brides” is future CatWoman Julie Newmar. Seven Brides is funny, radiant, and wonderful, and makes pioneer life look absolutely amazing! Here’s the trailer, and you can buy this great movie here! If you’re more of a city type but are in the mood for a musical, here’s On the Town. It was based on a 1944 stage show and was brought to the silver screen by the famed Freed Unit at MGM, responsible for such sparkling musicals as Meet Me in St. Louis, The Harvey Girls, and The Band Wagon. The film was directed by Gene Kelly and Stanley Donen, and some scenes were shot on location in New York City, a rare move at the time. In fact, sometimes hidden cameras were employed to avoid attracting attention and crowds! The film follows three sailors (Gene Kelly, Frank Sinatra, and Jules Munshin) on twenty-four-hour shore leave in the Big Apple. They’re pretty excited to arrive: this is the movie when Kelly, Sinatra, and Munshin burst out with “New York, New York, a wonderful town!” Fun fact: the original line, “a helluva town,” was changed for the movie. The three sailors meet three ladies (Ann Miller (shown on the poster in one of her costumes from Easter Parade, oddly enough), Vera-Ellen, and Betty Garrett). Romance, hijinks, comedy, and plenty of singing and dancing fill their time together! The book and lyrics were penned by Betty Comden and Adolph Green, the duo behind Singin’ in the Rain, My Sister Eileen, and Good News. 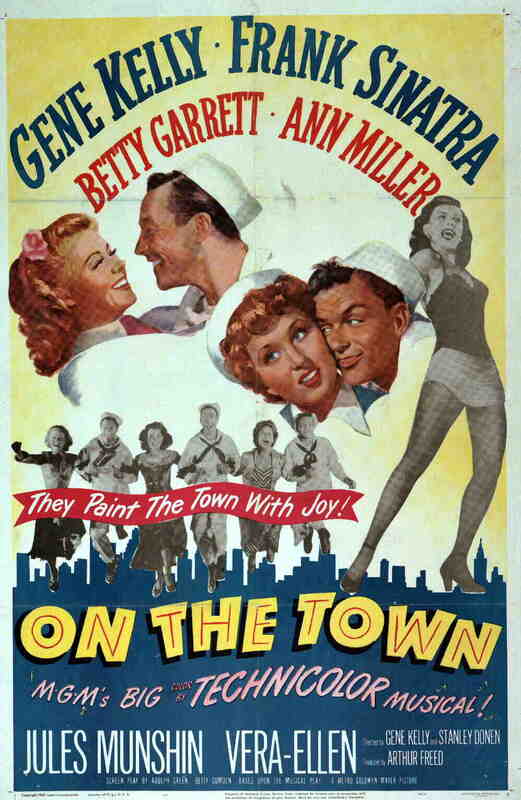 On the Town is a celebration of New York City, of America, and of the American movie musical by some of its greatest talents. Here’s the trailer, and you can buy this movie here. The film also took inspiration from Tennessee Williams’ play “Cat on a Hot Tin Roof,” which came to the silver screen that same year, and also starred Paul Newman, this time opposite Elizabeth Taylor (Summer was filmed first). Besides Woodward and Newman, who were married shortly after finishing this film, the movie stars Lee Remick, Angela Lansbury, and a bloated Orson Welles, who made things difficult for just about everyone during production. This film is heavy on Southern atmosphere and Southern accents, with plenty of heat, languid fans, and sprawling porches. So if bright musicals, war films, or westerns aren’t doing it for you this Fourth, celebrate the work of one of America’s greatest authors brought to the screen by some of our biggest stars. Plus, it’s fun to see Newman and Woodward in their first film together. Here’s the trailer, and you can buy this sultry film here . This movie’s finale takes place on a Navy battleship and includes hundreds of sailors backing up a gold lamé-clad Ann Miller. So I had to include it. Hit the Deck follows the classic pattern of three sailors on leave in the city. The sailors (Tony Martin, Russ Tamblyn, and Vic Damone) naturally have three lady loves (Ann Miller, Debbie Reynolds, and Jane Powell). Throw in a pompous, predatory Broadway star, the Shore Patrol, (who search for the three sailors after they punch said Broadway star), various subplots involving the sailors’ families, and of course their love adventures, and you’ve got yourself a movie! 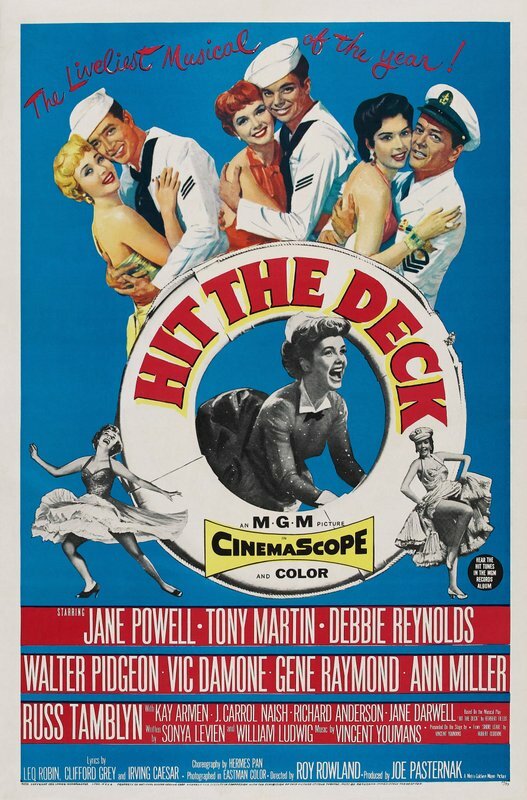 Hit the Deck is a joyful, absurd romp in CinemaScope with enough Admirals, sailors, and songs to garner a salute. Here’s the trailer. 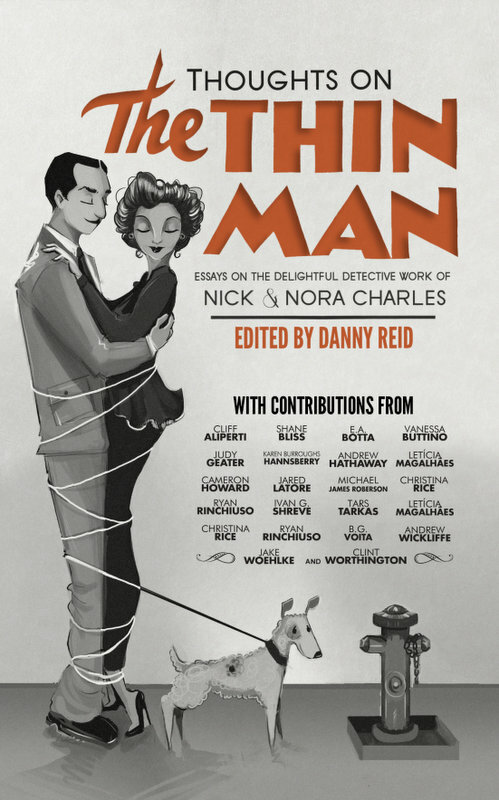 For more, you can read my full review and buy this delightful film here. This is considered one of the greatest westerns ever made, and what’s more American than that? 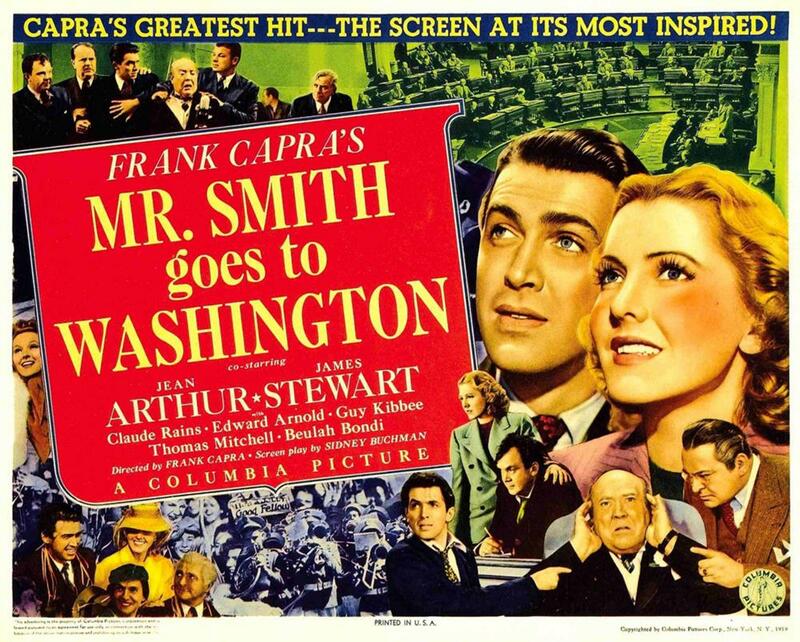 Like Mr. Smith Goes to Washington, it was released in that wonderful film year of 1939. Directed by John Ford, it stars Claire Trevor, George Bancroft, Louise Platt, Andy Devine, John Carradine, and Thomas Mitchell. Oh, and a young man named John Wayne. This was Wayne’s breakout role, and he’s just tremendous as the outlaw Ringo Kid. And jaw-droppingly young and handsome–his first appearance in the film is epic. It is 1855 and we’re traveling on a stagecoach with an awkward mix of people in very tight quarters. There’s an alcoholic doctor, a corrupt banker, a gentlemanly but dangerous gambler, a prostitute with a heart of gold, a tough marshal, and a classy lady. Plus, a scared salesman and an outlaw out for revenge! The journey would be difficult enough, but add on rampaging Apaches, a baby’s untimely arrival, and an overwhelmed U.S. Cavalry, and you’ve got a legendary, epic western. I hope something on this list strikes your fancy this Independence Day. For more, follow me on Twitter, tumblr, Pinterest, Instagram at BlondeAtTheFilm, and Facebook. You can find my lists of Great Classic Films for Kids, Halloween, Date Night, and Christmas here. Thank you so much! Those two are pretty great! Great list! I just watched “Easy to Love” yesterday as part of the Esther Williams marathon on TCM. It’s so wonderful – and the big finale with the unending water ski scene! Wow! Thanks for sharing. What a good blog you have here! Thank you! Glad you watched Easy to Love! It’s one of my favorites! July 4th has passed (except you may not know it if you have neighbors like I do that like to blow things up in their backyard pretty much all year), but I’m still going to have to scout out a copy of Easy to Love. Better late than never. Casablanca does bend your outlined rules pretty much into a pretzel. 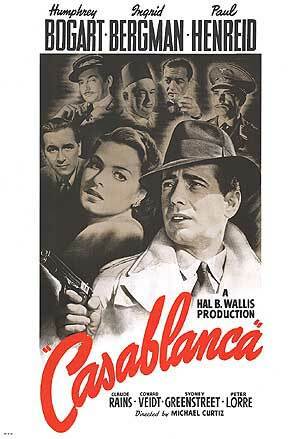 But Casablanca deserves the slack. In fact, I can’t think of a holiday Casablanca shouldn’t work on. Casablanca begs to be seen any time. Mr. Smith Goes to Washington is a great choice I might not have put together with the 4th myself. It’s hard to argue with The Long, Hot Summer as well. I forgot the artist formerly known as Orson Welles was in it. I’m a fan of Anthony Franciosa and he delivers in the hammy role of Clara’s brother. 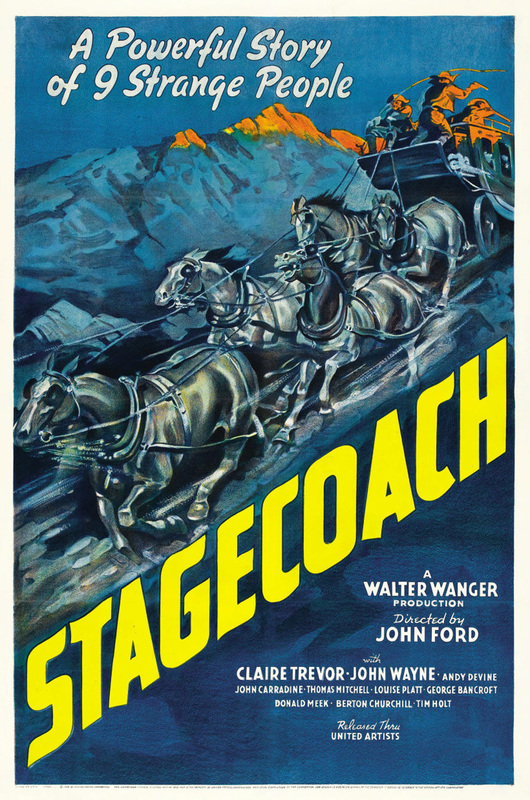 Stagecoach opens the door for a lot of westerns. The Man Who Shot Liberty Valance is a favorite of mine and does really speak to the civilizing of the old west in America, but it’s not a 4th of July uplifting holiday choice. It should probably be one where he rides off with the girl at the end like Stagecoach. Now that’s America. Thank you! Love this comment! I hope you enjoy Easy to Love! I like your site! Very interesting with beautiful design. thank of you, my love with Esther begin. 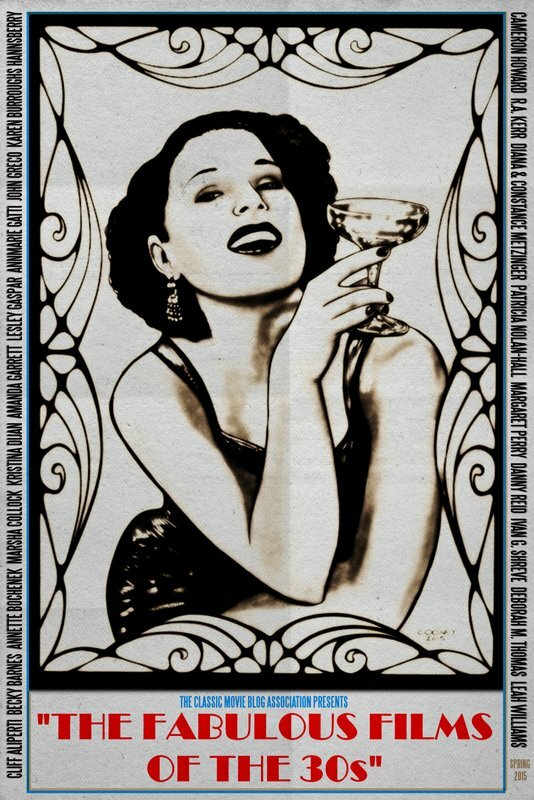 I only saw a movie of her: bathing beauty and I like it. I want see Andy Hardy with Esther and Milion dollar Mermaid. My fav actress is Lana. Do you like Lana? Thank you! 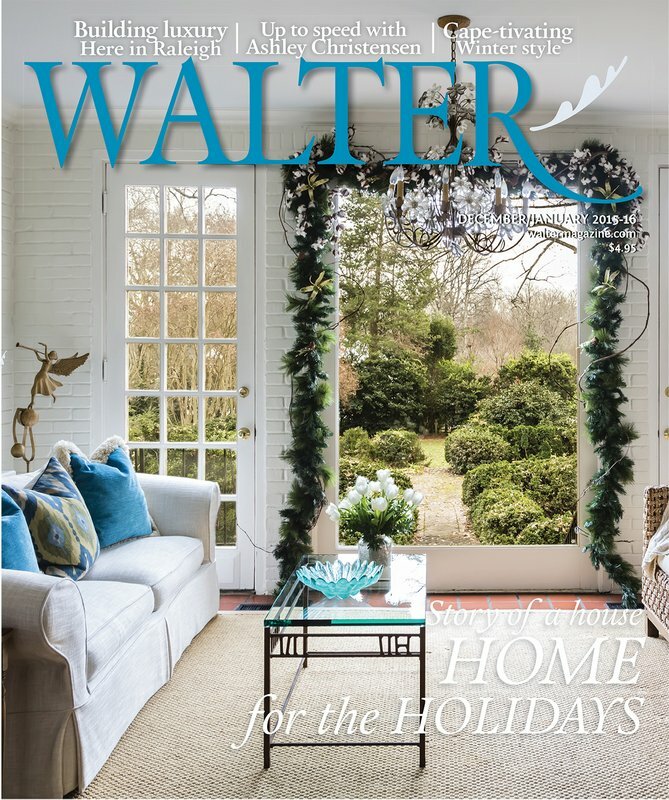 So glad you like Esther Williams, too! I need to write about some Lana Turner movies because she is amazing! Thanks for reading! 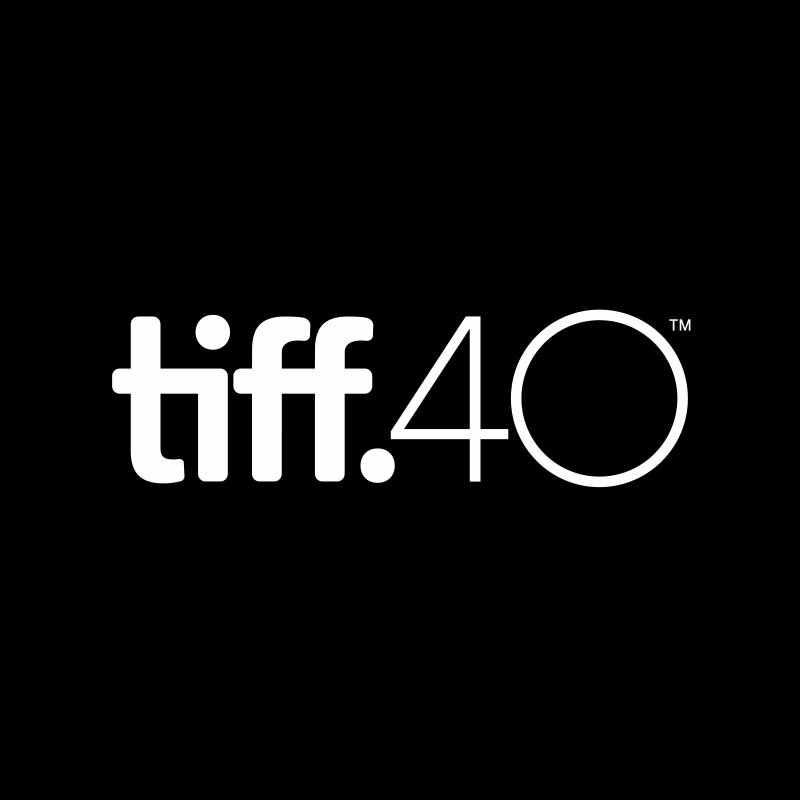 Where can you watch these movies? They are all available to buy on DVD or Blu-Ray from various sites, and you can rent them from Netflix or ClassicFlix. Unfortunately none of them are available to stream on Netflix right now.